In 1776, Adam Smith published, “An Inquiry into the Nature and Causes of the Wealth of the Nations” in which he introduced the “invisible hand” concept. Simply stated, Smith believed if you let self-interest rule the market, with no government intervention, everything will work itself out. However, it turns out that problems plaguing the healthcare industry are beyond the “invisible hand.” Leading healthcare industry experts believe that the free market failed to come together and figure things out because the business models and incentives simply weren’t there. As a solution, the government injected itself into the mix in 2015, when the Office of the National Coordinator for Health Information Technology (ONC) released its Shared Nationwide Interoperability Roadmap 1.0. The ONC roadmap addresses these issues first by providing a framework to promote better business models for healthcare, and second, by providing incentives via the Centers for Medicare & Medicaid Services (CMS) for those who adopt the ONC framework. Empower individuals to access and share their health data. Cease all intentional or inadvertent information blocking. Adopt federally-recognized national interoperability standards. Core technical standards and functions. Certification, and security adoption and optimization of health IT products and services. Privacy and security protections for health information. Supportive business, clinical, cultural, and regulatory environments. 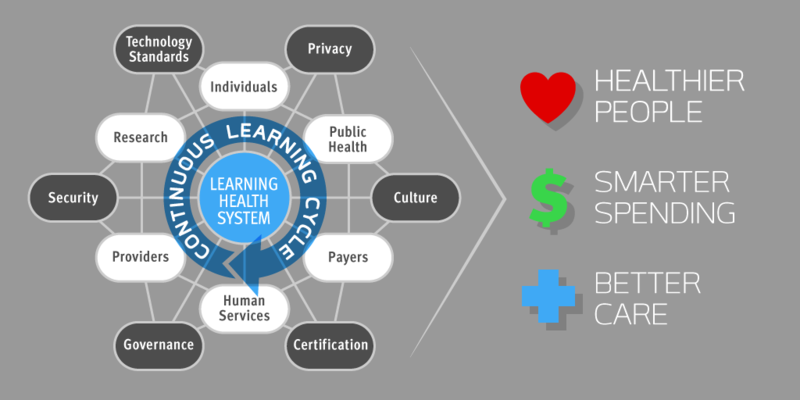 The overarching goal of the ONC roadmap is to build a Learning Health System by putting individuals at the center of a system that continuously improves care, public health, and science through real-time data access and nationwide interoperability. Today, the healthcare industry is taking positive steps to align with the ONC’s roadmap. The biggest changes are in the technology used by healthcare providers. Modern electronic health records (EHR) systems are being adopted at record pace. In 2014, over 78% of office-based physicians were using EHR systems and in 2013, over 59% of hospitals were using EHR systems. An EHR system is the digitized, comprehensive patient history from all clinicians involved in a patient’s care, regardless of practice or specialty. This improves on a traditional electronic medical record system which has been the mainstay in healthcare tech for the past 20 years but lacks the functionality to address the data challenges facing healthcare. Mobility – Secure data anywhere, anytime, on any device. Clinical Decision Support – Alerts and reminders to prevent harm to patients. 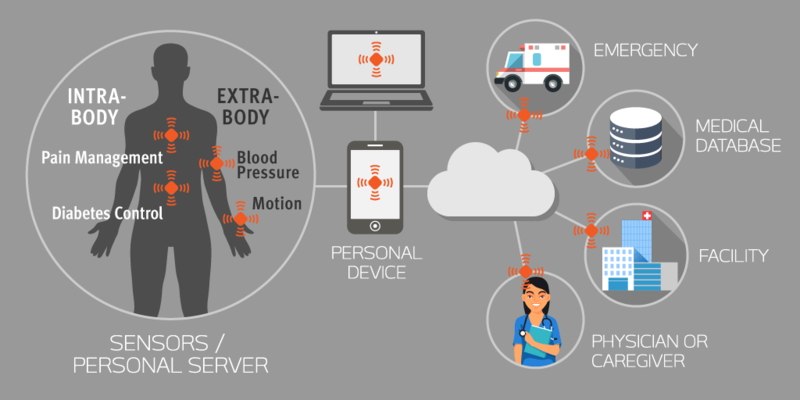 Interoperability – EHR’s with embedded Health Information Exchange (HIE). Cutting edge EHR systems are starting to introduce big data analytics into their systems. The highest value clinical data is locked up in unstructured text making it hard to analyze. Natural language processing (NLP) and Text Analytics, the key to unlocking its value, are slowly being introduced into EHR systems. The ONC initiative won’t be fully realized until 2024, so the jury is still out on how well the government can execute against its own plan; however, if successful, the roadmap will address most of the challenges mentioned in Part II of this series. Nevertheless, the challenges in healthcare aren’t only being addressed with technology. Today, there is a major shift in how healthcare is managed and how care is delivered to patients. Value-based care and patient-centric care are two approaches gaining traction, and seeing early successes. Traditionally, a “fee-for-service” model is employed where a physician is paid based on the number of patient visits and tests ordered. With value-based care, a physician is paid based on the value of care they deliver. Today, accountable care organizations (ACOs) are embracing value-based care as a way to achieve better patient outcomes and increase profitability. Technology is critical to the success of ACOs and value-based care. 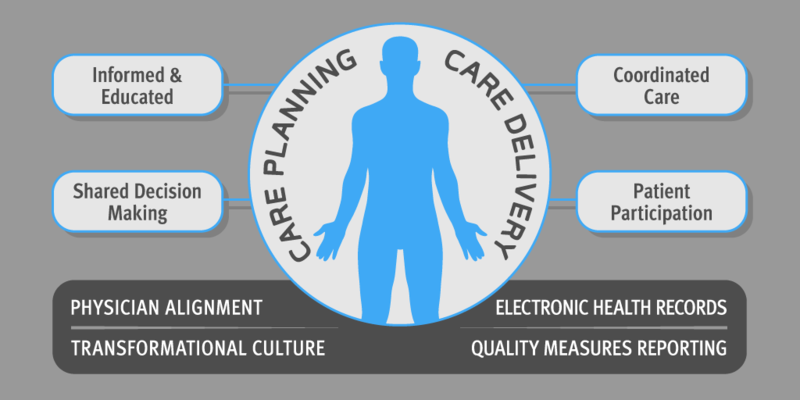 Particularly, EHRs provide the best way to track a patient during transitional care. This level of comprehensive detail enables better continuity of care and supports comprehensive analytics. Patient-centric care is the other shift taking place. A core tenet of the patient-centric model is that patients are more involved in how their care plan is developed and delivered. Today, physicians tend to carry heavy workloads due to a shortage of general practitioners coupled with a desire to maintain a profitable practice. Getting patients involved shifts some of the care responsibility to the patient by promoting self-management. Patient-centered care is about empowering and engaging patients not only during consultations but afterwards as well. Patient portals provide a great way to engage patients. Portals can be designed to push down information and industry topics relevant to the patient. Patients can schedule appointments, review medical records and tests, and ask their physicians questions. The future of healthcare and medicine is bright. It is also laden with even more data that needs to be consumed, analyzed, and transformed to make it actionable. What can we expect that is novel, practical, and helps achieve the ONC roadmap over the next 10 years? Viewing health as a state of complete physical, mental, and social well-being and not merely an absence of disease. Recognizing patient history as essential for development of personal metrics unique to each individual. Healthcare transformation will continue through the adoption of big data, analytics, and new approaches to how care is accessed, delivered, and paid for. We are entering an exciting and novel time, driven by rapid technological advances. What follows next will be innovations that increase access to care, decrease its cost, and reduce the barriers to information dissemination. I look forward to your thread.